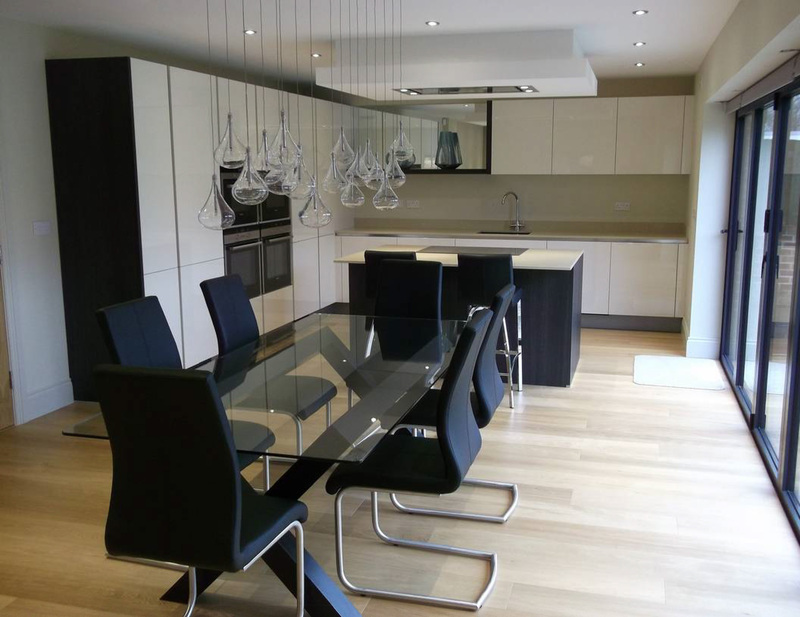 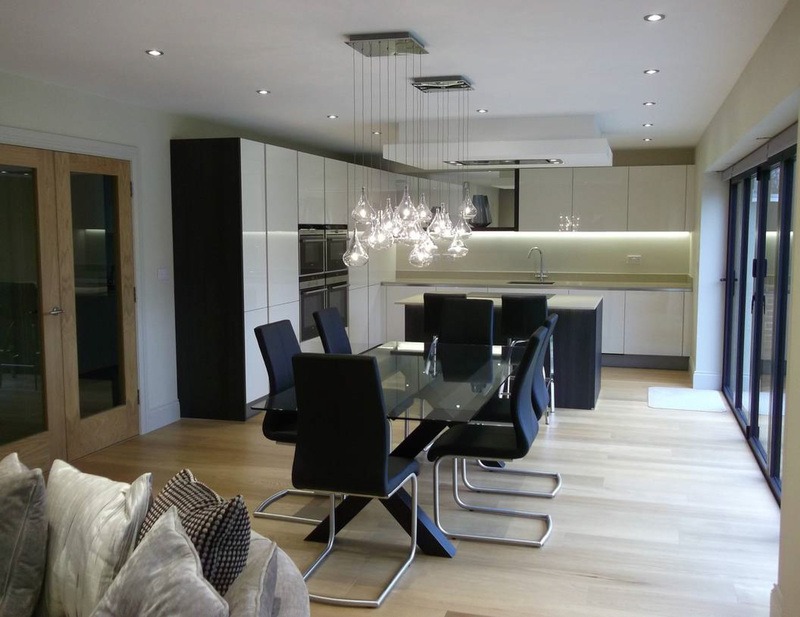 This stunning handleless design incorporates high gloss Magnolia doors with contrasting Terra Oak surround panels. 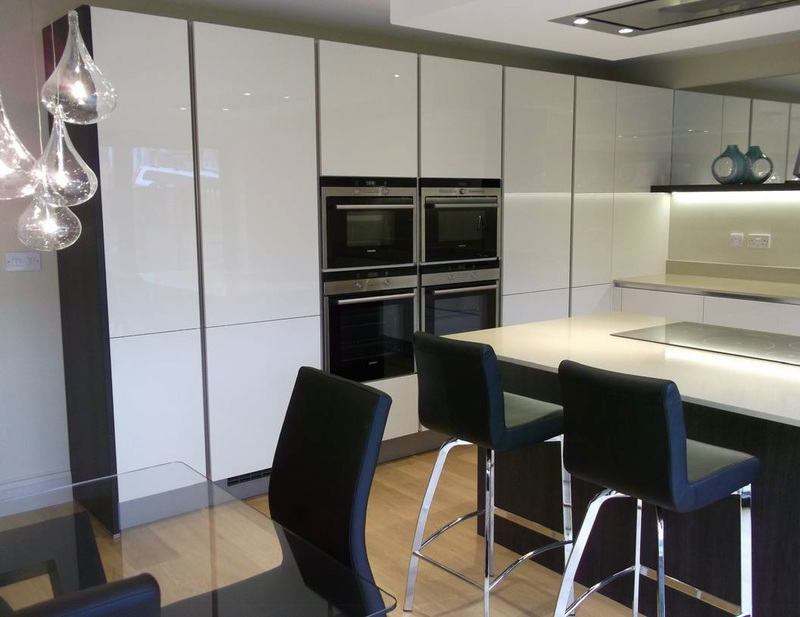 These clients decided upon a long bank of glossy tall units, encased in dark wooden surround panels and fitted with Siemens appliances ranging from iQ300 to iQ500. 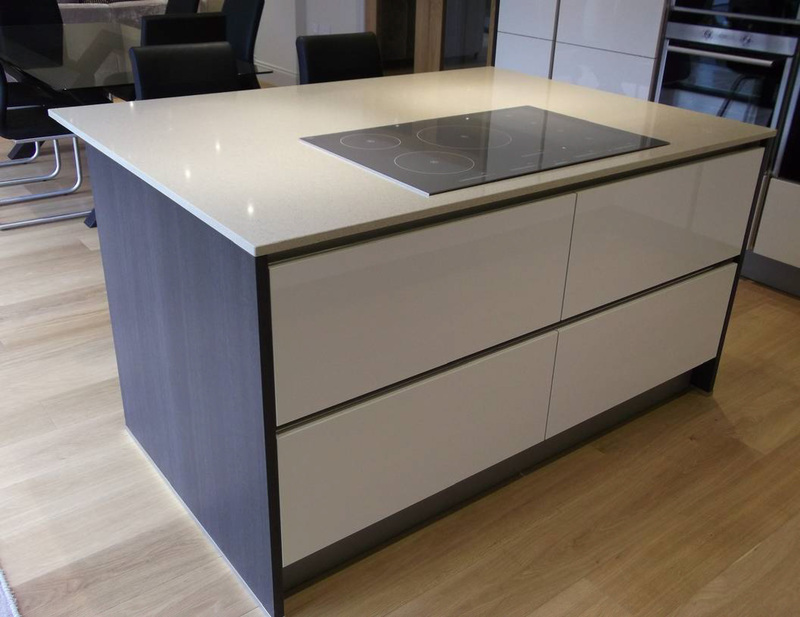 The compact island can seat 2 and is home to a wine cooler as well as a Siemens iQ500 flexInduction hob in grey glass to compliment the 'Crema Urban' Silestone worktop. 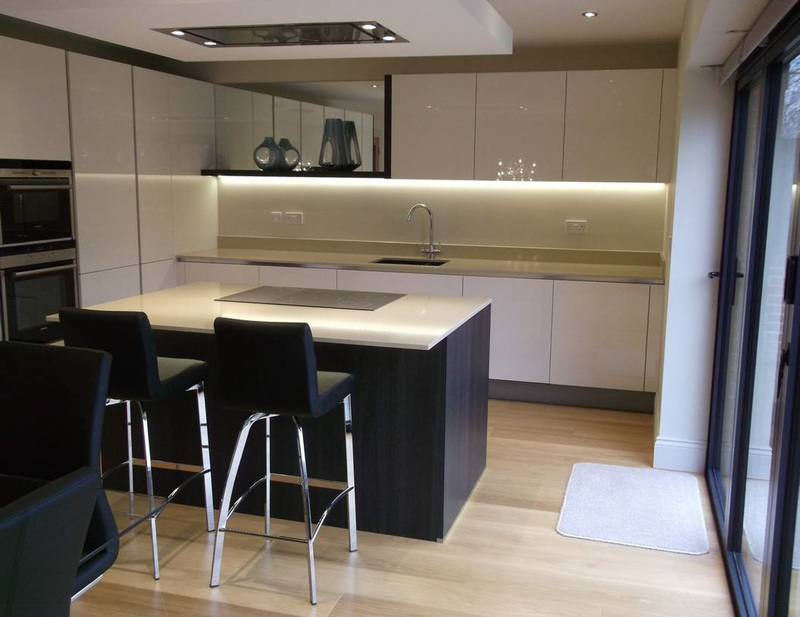 The run of units along the back wall incorporates a Blanco undermount sink with the LED strip lighting and mirrored open shelving above adding the finishing Karl Benz touch. 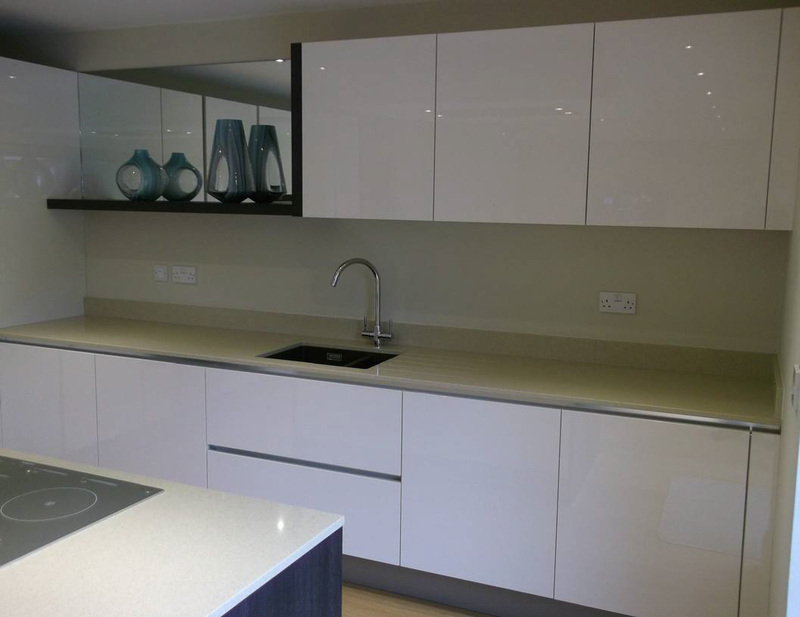 Thanks to you and your team including Mel and the fitter Daz for all your hard work in delivering and fitting our new kitchen. 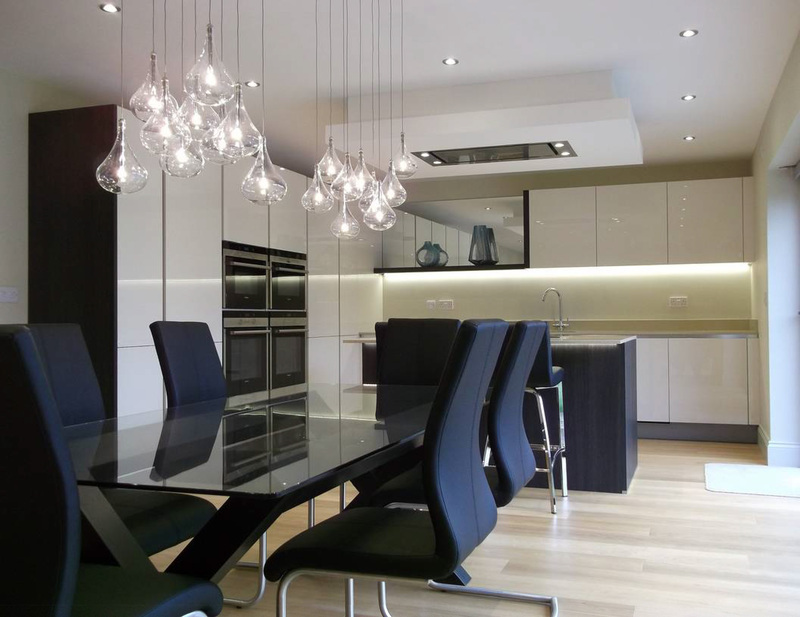 Having had time to live with it for a while we can confirm that the final design works exceptionally well. 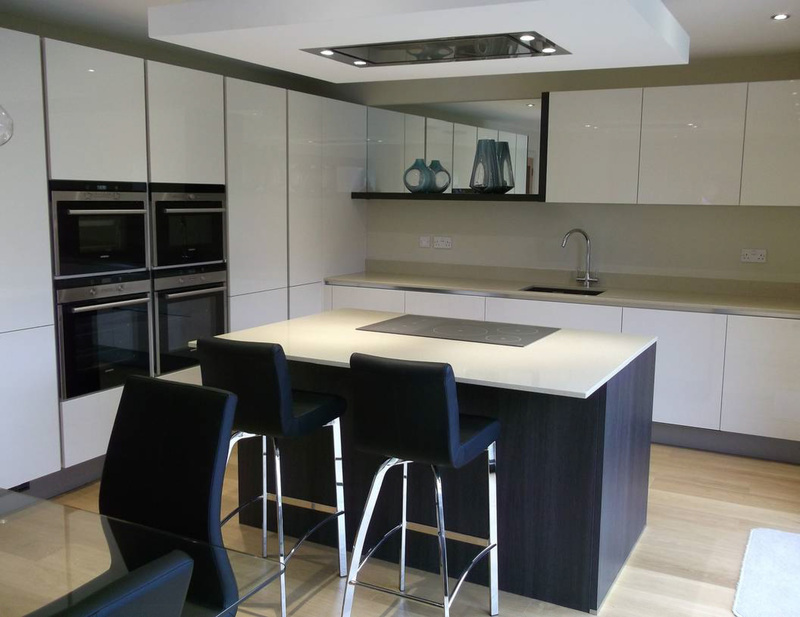 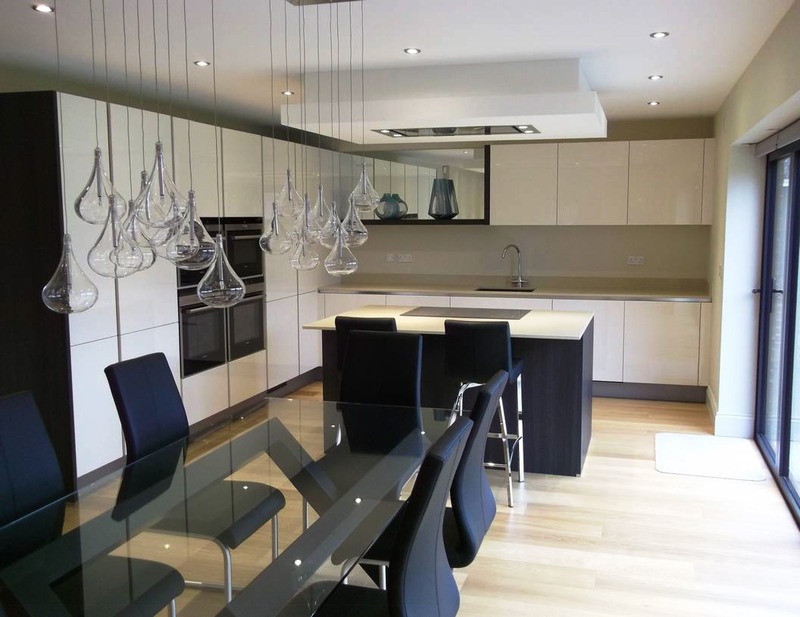 The fitting and attention to detail is second to none and we would have no hesitation in recommending your services to anyone who is looking for a high quality, well designed and fitted kitchen.